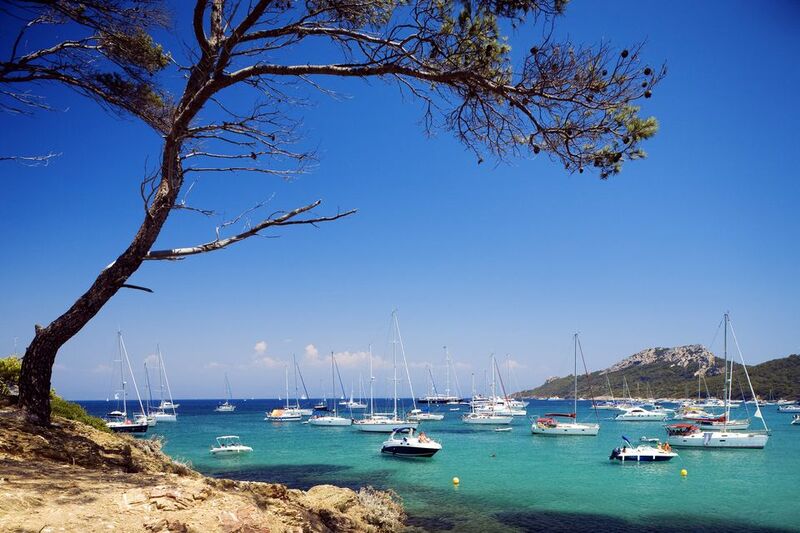 If you follow this 9-stop South of France tour itinerary, you will encounter some of the best stops and sights in all of Europe. The tour goes from Nice to Saint-Paul-de-Vence, Avignon, Montpellier, Rodez, Toulouse, Carcassonne (you have to double back here to take the big roads), Saint-Jean-de-Luz, and ends in Bordeaux. If possible, it is recommended that you book a multiple-leg itinerary to allow you to fly into Nice Côte d'Azur airport and fly out of Bordeaux, as this eliminates the need to return to Nice at the end of your tour. Alternatively, this itinerary can make a great add-on to a vacation that starts and ends in Paris. 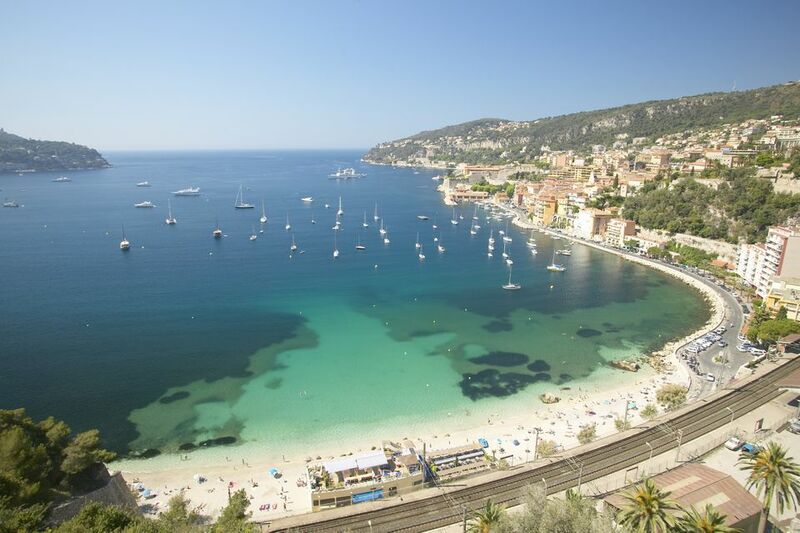 With a rail pass, you can simply take the train to Nice (a pleasant way to get there and see the countryside), and return to Paris on the train back from Bordeaux. Getting around to the various stops is pretty easy. Renting a car will give you the most flexibility of schedule, but you could certainly use a French rail pass to do this itinerary tour. Nice is one of France's great cities and with its wonderful mix of urban and the seaside, makes a grand introduction to the tour. The city has a delightful old town, one of the best daily markets in the south of France, good art museums in and around the city and very good French (and Italian) cuisine. It's relaxed with an all-year-round events calendar including a superb Carnival, and an annual Jazz Festival. Nice makes a very good center for some excellent day trips out. St-Paul-de-Vence is one of the most charming small fortified hilltop villages that dot the landscape of Provence. It's not to be missed, particularly for those who like Provencal fabrics, handcrafted jewelry and gifts, and good restaurants. Simone Signoret had a small house here and met her future husband Yves Montand at the famous Colombe d'Or hotel in 1949. Sit in the cafe at the Place de Gaulle and watch the pétanque players, some of whom might just remember Yves Montand trying his hand at the game. Go to the Colombe d'Or for lunch (or stay there) to see the works of art on the walls given by famous guests. But it gets overcrowded in the high season of July and August, so try to visit at another time. Avignon is one of the most beautiful and gracious cities in the South of France. This ancient place on the banks of the Rhône river is dominated by the warm stone building of the Pope's Palace, the capital of the Catholic Church during the early Middle Ages. Surrounded by old gates and towers, it forms the heart of the old town where lovely side streets fill up with tourists and locals at the pavement cafes and boutiques. Montpellier in Languedoc-Roussillon is the true Southern France lady. Its attraction lies in its many inviting squares and their sidewalk cafes. This is a gem of the south, sitting at the border of Provence and the less popular Languedoc region. It's been a great trading port for a thousand years and was an important university town in the 1500s. This urban ​center has a real buzz, rivaling Toulouse for the most exciting southern city. It has a delightful Old Town, a top university which makes it a young city and a great cultural life with festivals all through the year. Rodez is a true gem hidden away in the rural, mountainous Aveyron department. The route there, and the whole surrounding area, is countryside and hillsides. Then, Rodez is revealed with its small city verve. It features lovely cafes, good shopping, and beautiful architecture. That's not to mention a breathtaking, red sandstone Gothic cathedral which dominates the Old Town. Steeped in history, yet hip and lively, the enchanting Toulouse is one of France's most beautiful cities. As an added bonus, the food here and in the rest of the Midi-Pyrénées region, for which Toulouse serves as capital, is among France's most memorable. The shopping options are vast. The extraordinary red cathedral is well worth a visit; go inside for its painted interior and its chilling scenes of hell. Carcassonne in Languedoc-Roussillon is a unique split personality of a city. The upper city is the original medieval fortified village that remains intact and atmospheric to this day. The lower city is an urban grid of shops, restaurants, and inviting squares. It's all due to its once bloody history. One of the great Cathar towns, it was split in two when the heretics were expelled and allowed to return only if they built their own city by the River Aude. Easily one of the most attractive cities in the Basque Country, from its cozy beach to its attractive downtown, Saint-Jean-de-Luz is a jewel. This pretty small city in the Pyrenees has real charm, from its port lined with colorful boats to its boutique shops selling surfing gear and lessons year-round. Bordeaux has had such a resurgence in the last few years that it is now one of France's most dynamic and exciting cities. Its glorious waterfront buildings have been cleaned and renovated, while its latest attraction, the Cité du Vin is getting huge publicity and attendance. This thriving city is filled with shops and historic attractions. It's also the place to explore the Bordeaux wine country, try some vinotherapie (wine therapy) spas and of course, drink the famous wines.